Back in the 80's and 90's every basketball fan around the world wanted to jump like Mike. Rumor has it that Michael Jordan had a 48+ inch vertical in his prime. If you have ever watched footage of Michael Jordan in his mid 20's/ early 30's you would understand that a 48+ inch vertical jump is not hard to believe. Jordan didn't just jump, he flew. His graceful flight to the rim helped to coin the term "hang-time". In fact he has a recorded hang-time of 0.92 seconds and is regarded as one of the highest ever jumpers in NBA history. 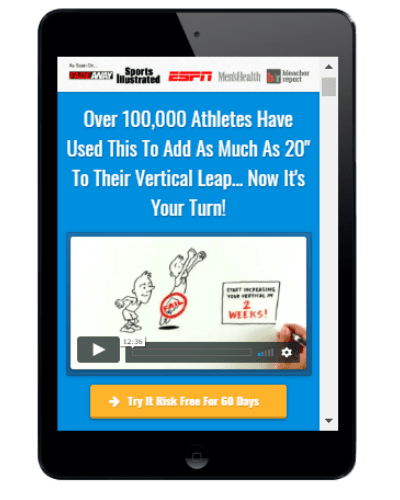 In this post we will investigate Michael Jordan's official vertical jump height plus help you learn how to jump like "his airness". 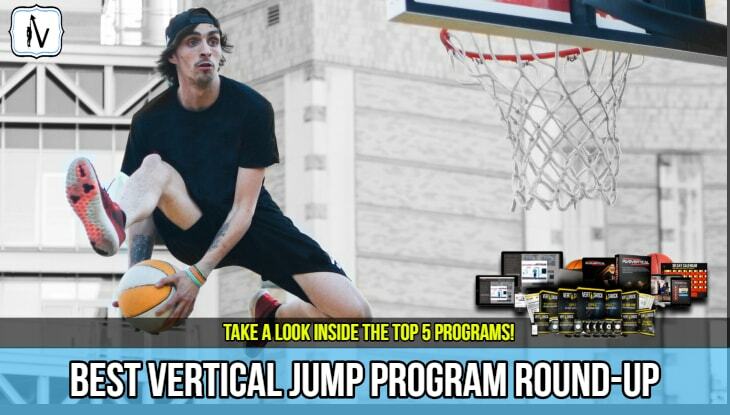 I will also show you how you can find the most effective vertical jump program that can help you add significant inches to your vertical jump. Exactly How High Could Michael Jordan Jump? How Did Michael Jordan Jump So High? Since we know that Michael Jordan stood 6 feet 6 inches tall we can calculate that if he could jump with his head level to the 10 ft rim he would have a vertical jump height of 42 inches. However if you watch M.J's highlights there is footage of him jumping high enough to get his head a couple of inches above the rim. It is safe to say Jordan definitely had a vertical jump of over 44 inches. I am yet to find any real official evidence that he had a 48 inch vertical. So are there any official records of Michael Jordan's vertical jump height? It turns out that the only official records of Michael Jordan’s vertical jump were the measurements taken during his college years at North Carolina. In these tests he reached a max running jump of 45.5 inches and achieved 42″ vertical jump height from a standard Sargent Test. Note: You can learn everything about testing your vertical jump height. However, the exact methods that Michael Jordan used to help him improve his vertical jump may leave you feeling a little underwhelmed. "The things I can say that I did to improve my jumping are very basic things... I used to ride the bicycle, I used to work on jumping, I used to just try to jump and try to dunk and I guess if you exercise that muscle to that activity I guess it is going to improve..."
As you can see M.J didn't do any fancy weight training exercises to boost his vertical jump. Neither did he do any jump specific plyometric exercises or shock training to boost his vertical. He simply jumped regularly and rode his bike. 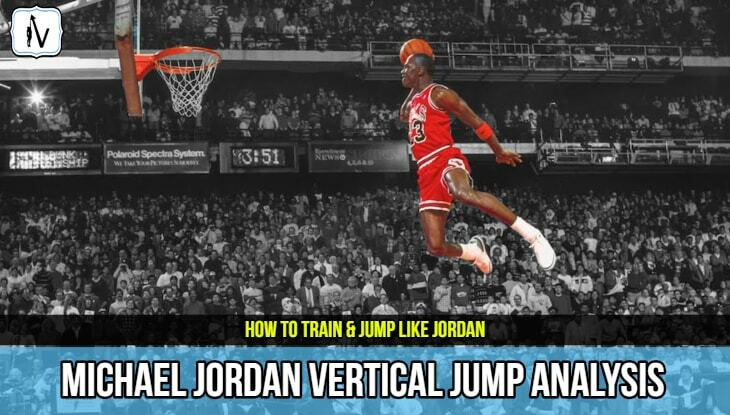 So how did Michael Jordan achieve such an amazing vertical jump? Michael Jordan was obviously blessed with great genetics. His leg muscles contain the perfect blend of explosive muscle fibers and his bone and tendon length are made for jumping. People like Michael Jordan and current players like Lebron James are extremely lucky in the fact that jumping high comes relatively easy for them, at least when compared to the average Joe. Sure some people are genetic freaks and the honest truth is that the rest of us have to target our jumping muscles with jump specific training. There are no secret exercise that can help turn you into a vertical beast like M.J in his prime overnight. To significantly increase your vertical jump height you will have to train hard and train consistently. If you want to boost your vertical jump height beyond a few inches and obtain a vertical jump that will allow you to throw down like M.J you will need to commit to a proven vertical jump program. 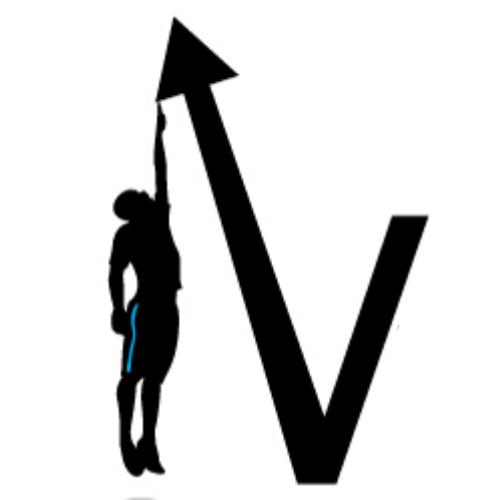 There are a few specific training variables that you must focus on developing if you want to get a higher vertical jump. Firstly, as Michael Jordan said, if you want to be able to jump higher you must get better at jumping. Perfecting jump technique is an effective way can help you add inches to your jump height fast. 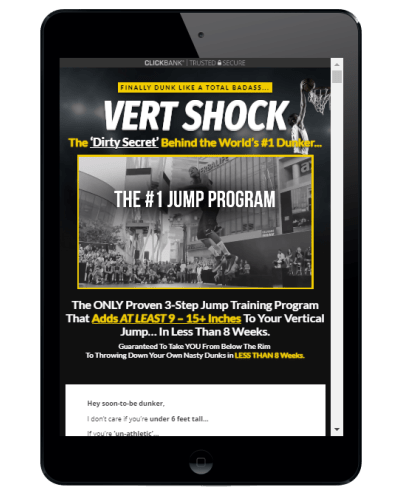 The popular Vert Shock program is a great option for those of you who want to perfect your vertical jump technique. 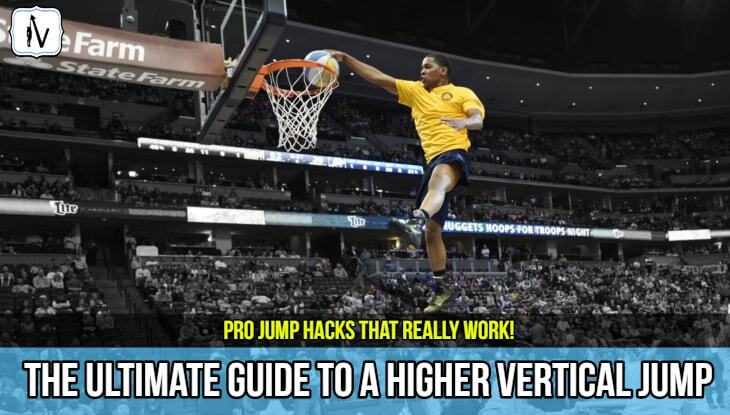 You can learn more about all of these topics in our huge guide on jumping higher. Professional jump programs can be a great way to simplify the process of obtaining a higher vertical jump. These programs allow you to follow professionally prescribed protocol in a linear fashion day by day. All you have to do is fire up the program and follow the steps day by day. Stick to the proven training regimes and train hard and you will get results. Michael Jordan had a vertical jump height of over 44 inches in his prime. The fact that Michael Jordan could dunk without any serious jump training allows us to come to the conclusion that he was a seriously genetically gifted athlete. For the rest of you who want to get a 30+ inch vertical jump like Michael Jordan you will have to get ready to train hard and train smart. Jump training is not easy, but if you want to dunk bad enough I'm sure you will put in the work to make it happen. Train with intensity and consistency you will one day be able to throw down. ​I highly doubt that your dunks will be anywhere near as impressive as Michael Jordan, but hey, achieving your first dunk will put you in an elite club that you should be proud of.